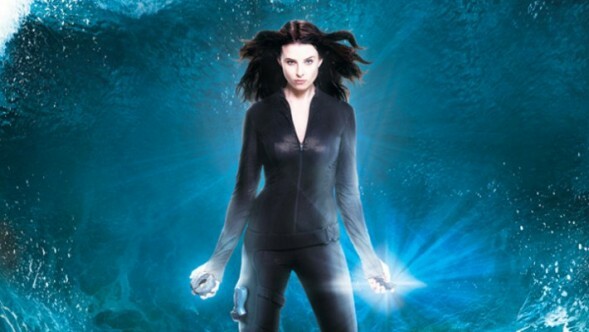 Science fiction drama Continuum has been picked up for a third season by Showcase in Canada. There’s no word on how many episodes have been ordered this time around — season one has 10 and season two has 13 — or when they’ll start airing. Here in the US, Syfy licenses the TV series and the second season will begin airing tomorrow night. The baker’s dozen of installments is expected to finish running on August 30th. Syfy hasn’t said if they’ll be running season three yet but it seems likely, especially considering that it costs them less to license a show than produce their own and because the ratings have been positive. What do you think? Are you glad to hear there’s more Continuum on the way or do you think it should have been cancelled, to make way for something better? Yes make more seasons of continuum.